Finally – vacation – The joys of life. Sailing. Travel. Food. Finally it’s here, our summer holidays. This year we’ll ne taking it easy and we’re only planning a short trip covering the Estonian coast and some islands. We also hope to make our way across the Gulf of Riga and see what Riga is like these days. We had to delay our start a fee days, since the old lady needed a medical. Miss Lola is ok, even though the years are beginning to show and she will need medication. For a twelve yo sheltie, she’s doong great. We left our home port just after six on tuesday evening and headed for the yacht clubs’ island base a few miles out in the archipelago. 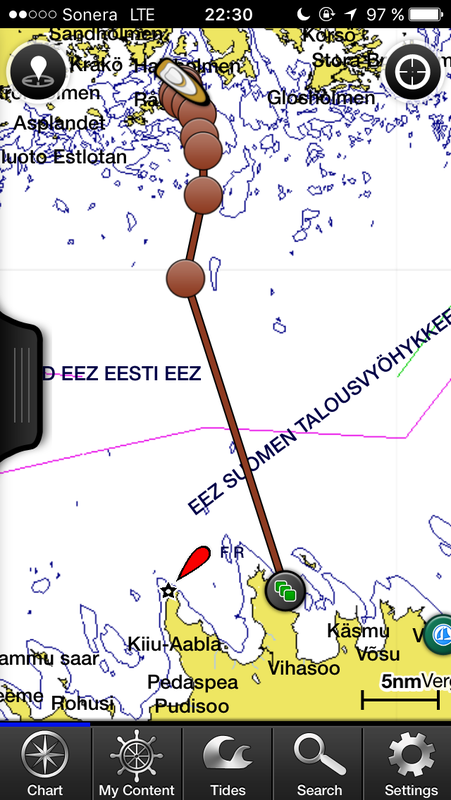 From here, we are planning on crossing over to Viinistu, with an early start on wednesday morning. Great to be out again. Join us for our short Baltic Cruise!